A low pressure compressor is the most energy-efficient option for applications with reduced power requirements. This type of compressor utilizes a smaller motor, which results in less energy consumption. A&W Compressor has a wide selection of new and used low pressure compressors and the compressed air specialists with nearly 30 years of experience to ensure you get the right compressor for your particular needs. When you buy a compressor from us, you can rest assured that it is well-built and durable because our inventory includes products from some of the top manufacturers in the industry, like Atlas Copco, Saylor-Beall, and Champion. 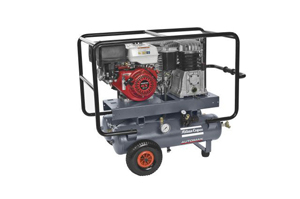 Whether you need a low pressure air compressor for light-duty industrial applications, breathing air needs, or to operate air tools in your hobby shop, you are sure to find a great machine at a price that meets your budget from A&W Compressor. We also have a comprehensive inventory of compressor parts and accessories to keep your compressors properly equipped. Contact A&W Compressor, the comprehensive source for all of your high pressure and low pressure compressed air needs, today.